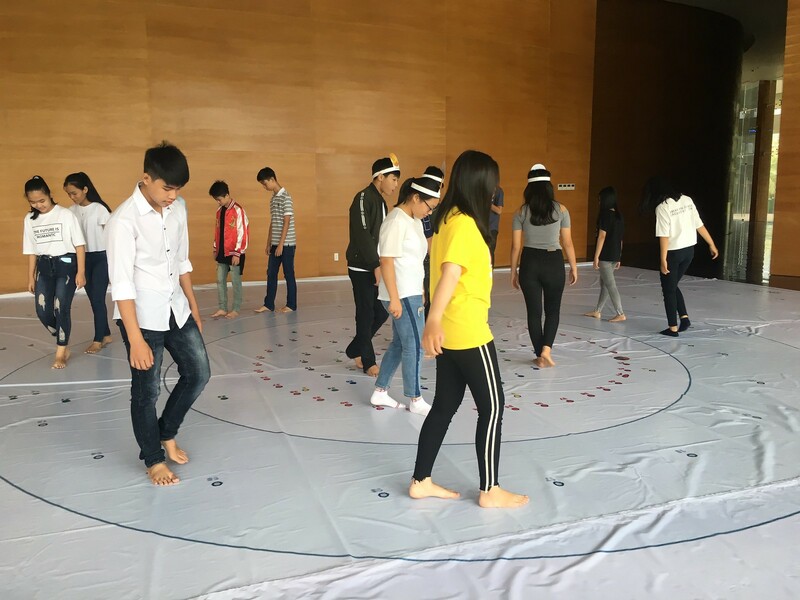 Grade-8 pupils from Ngo May Secondary School in Quy Nhon are extremely eager and curious about what they see at ExploraScience. Today, ExploraScience has welcomed some students to extracurricular activities on the occasion of International Children’s Day. ExploraScience aims to be a new destination for students to come playing and discovering models which applied of Mathematics or Physics principles from the curriculum they have learnt or are going to learn. 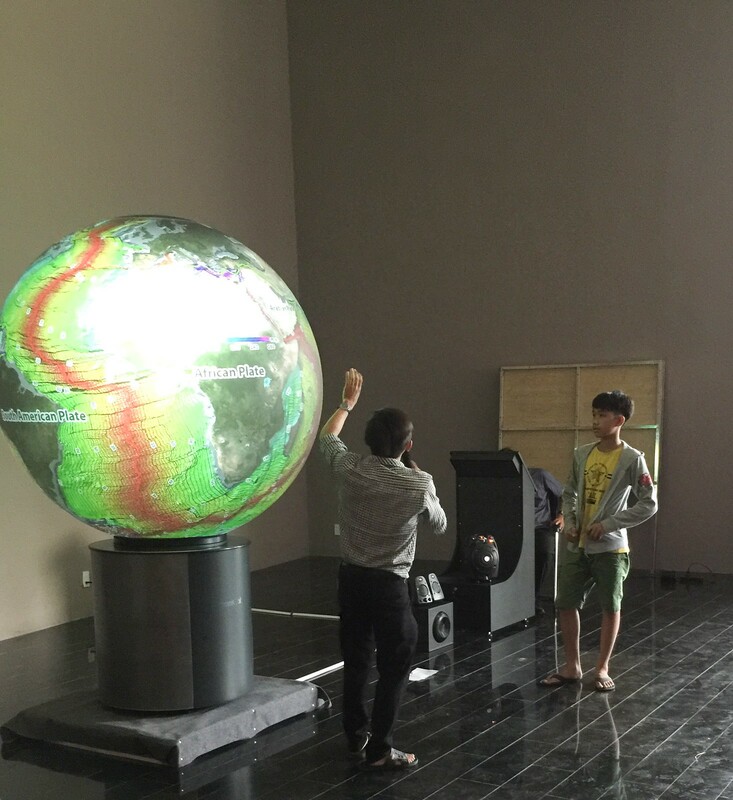 In the first part, students “play” with a giant sphere of 1.5m diameter. This is a visual tool to help them gain some knowledge about Geography, the Earth, thereby increasing their interest in science. With the guidance of a science instructor, the pupils comfortably ask and answer questions in order to improve their critical thinking skills and get new information. Then, for this special occasion, ExploraScience had prepared a Human planetary. In this playground, the pupils play the role of planets and follow the planets’ trajectories. Thanks to this, they know more about the distance between planets, how those planets rotate and move around the Sun, and how to find the constellations. The playground is used to help students learn through playing. It is an effective method to diffuse complex information and knowledge. At the moment, ExploraScience’s building is under construction and has not been inaugurated yet. Students and their families can come back to visit and explore more about science soon. Thanks for: The design of Human planetary is part of EU-HOU/Hands-On Universe – an European project. Its pilot use in Quy Nhon has been approved by the key member of the project – Prof. Emmanuel Rollinde.